Upper Peninsula cabin rentals and cottages let you experience adventure and life as a "yooper". There are no wrong turns once you enter the UP, only fun times. A drive though the Upper Peninsula — or Adventure Peninsula as we like to call it, is absolutely breathtaking. The Upper Peninsula covers more than 16,000 square miles of prime adventure land, with 4,300 inland lakes, 12,000 miles of streams, and some of the best hunting and fishing in the world. It’s time to get outside, enjoy a memorable family adventure in a rustic rental cabin, and experience life as a Yooper. Where can I find Upper Peninsula Michigan cabins? 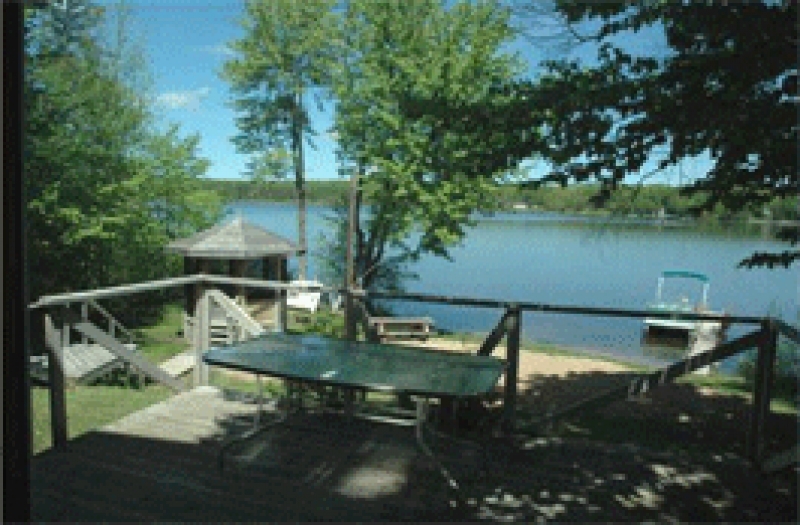 Finding Upper Peninsula of Michigan cabins to rent is easy at RentMichiganCabins.com. Use our search tool and interactive map to compare rustic cabins, cabins on a lake, and pet friendly cabin rentals with hot tubs from iron River to Brimley on Lake Superior. Book directly with vacation rental owners or local property managers to get the lowest rate and best local advice. The Upper Peninsula is well-stocked with lakeside cottages. The Superior State has almost 1,700 miles of continuous shoreline on the Great Lakes. Visitors to the area will also find some interesting volcanic rock formations on the western side of the peninsula, and some great hiking at higher elevation, including Mount Arvon, Michigan’s highest peak, and the Porcupine and Huron Mountains. Approximately one-third of the U.P. is covered in government-owned recreational forest land, including the Hiawatha and Ottawa National Forests, where explorers might be able to spot a wide range of indigenous wildlife. Making their own homes in the forested land of the Upper Peninsula are snowshoe hares, porcupines, white-tailed deer, moose, black bears, cougars, bobcats, coyotes, foxes and wolves, among others. Train your eyes on the treetops for a glimpse of an osprey, owl or eagle. Take a trip down one of the region’s many river and you might happen across a river otter, fisher or muskrat. Or, comb the beaches for gulls and painted turtles. Our collection of Upper Peninsula cabin rentals and resorts is always growing — Cabin Time in the UP of Michigan can’t be beat. 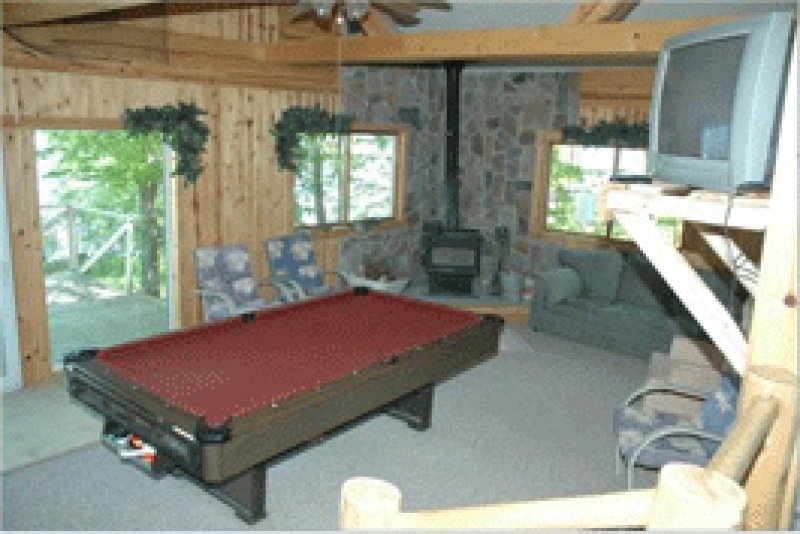 Upper Peninsula vacation rentals have no shortage of entertainment to offer. From great fishing (those 43,000 lakes are full of Muskie, walleye, northern pike, catfish, trout, salmon and bass!) to museums, waterparks, wineries and zoos. And don’t forget the lighthouses. The Upper Peninsula is well known for its lighthouses, which visitors can often view up close by venturing out on stone walkways that extend into the lakes. The Lake Michigan shoreline boardwalk and the Keweenaw Peninsulas are must-sees for those that enjoy a good sunset on the water. For those who like to live life at a faster pace, Mount Bohemia Adventure Resort is a famed destination for extreme skiing and snowboarding. For the truly adventurous in sprit, the U.P. offers a unique blend of local cuisine — from the infamous pasty to Michigan’s prized maple syrup — with a few other oddities thrown in for good measure. Restaurants in the Upper Peninsula serve first-class seafood, American classic comfort foods, and craft beers that will top off both your meal and your trip. The Upper Peninsula is a land of water features — which means its bridge system is an impressive sight. First-timers to the area will return home with a camera feed full of suspension lines and arch buttresses! The Great Lakes are also home to myriad tourist islands. Vacationers can take the ferry to local treasures like Sugar Island, Neebish Island, Drummond Island and Mackinac Island. Even inland from the lakes, water has a strong hand in shaping the tourism culture of the state. The U.P. has more than 300 waterfalls, ranging from under five to nearly 50 feet in height! Visitors can pick up a pre-mapped road trip route that will wind through the peninsula’s many beautiful cascades. The Weather in Upper Michigan has a little something for everyone. Vacation rentals in the Upper Peninsula are sun-drenched in the summer and snow-covered in winter. These year-round Upper Peninsula vacation homes are a haven for snowmobiling and ski enthusiasts. The Portage Lift Bridge — the world’s largest double-deck vertical lift bridge — even dedicates the lower deck to snowmobile traffic in the colder months, making great modern use of a former railway. Winter in the Upper Peninsula tends to be cold and very white, with lake-effect snow causing a snowfall of up to 250 inches per year in some parts. Lakefront cabins on the Great Lakes will see milder temperatures than the rest of the peninsula, as the water brings the temperature up 10 degrees in winter and down 10 degrees in summer.